Rage Against the Machine have formed a super-group with Public Enemy and Cypress Hill members. The band - comprised of Zack de la Rocha, Tom Morello, Tim Commerford and Brad Wilk - launched a new website prophetsofrage.com which contained a mysterious countdown timer to June 1. 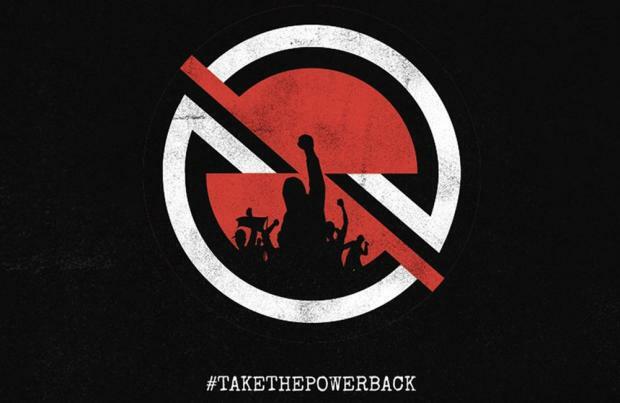 A link to the site was share on the band's official Twitter account, along with new artwork and the hashtag #TakeThePowerBack, which is the name of a song which featured on their 1992 self-titled debut album, while 'Prophets of Rage' is the name of a Public Enemy track. A source has now told Billboard that the 'Killing In The Name' guitarist Tom, bassist Tim and drummer Brad are teaming up with Public Enemy's Chuck D and Cypress Hill's B-Real to perform songs from each group under the band name Prophets of Rage. RATM frontman Zack is not involved. Another source told Rolling Stone magazine: "This is not a Rage-specific reunion. There's a lot more to it. There are a lot of moving parts, a lot of exciting news to be revealed." It's also reported that the band super-group will make their live debut at the Hollywood Palladium on June 3 with a 2016 summer tour also believed to be in the pipeline. The source added: "Whether that's one show or five shows, I don't know. There are more announcements to come." Fans can head to the website and enter their email address to receive the announcement when it drops in six days' time.